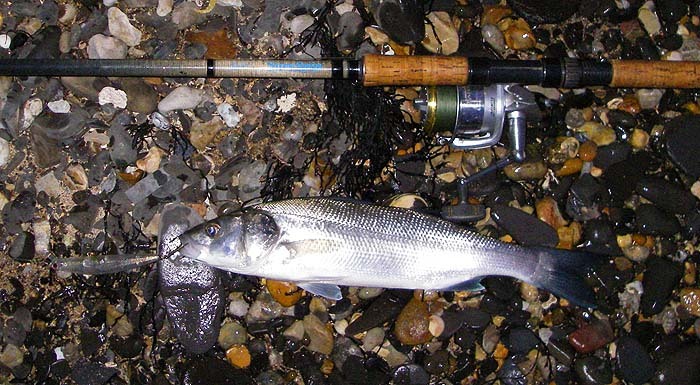 I suppose that it's had something to do with the good weather we've had recently but there have been quite a few bass caught along the Purbeck coast recently. That's not to say there have been no blanks - it's always iffy at this time of the year and it's easily possible to spend an hour without a bite. It started off with Ben outfishing me again one early morning. 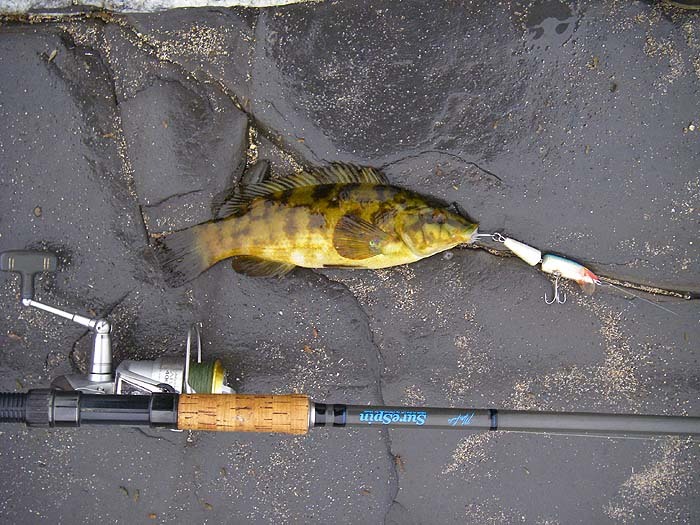 He had three bass and I only managed a wrasse on a plug. 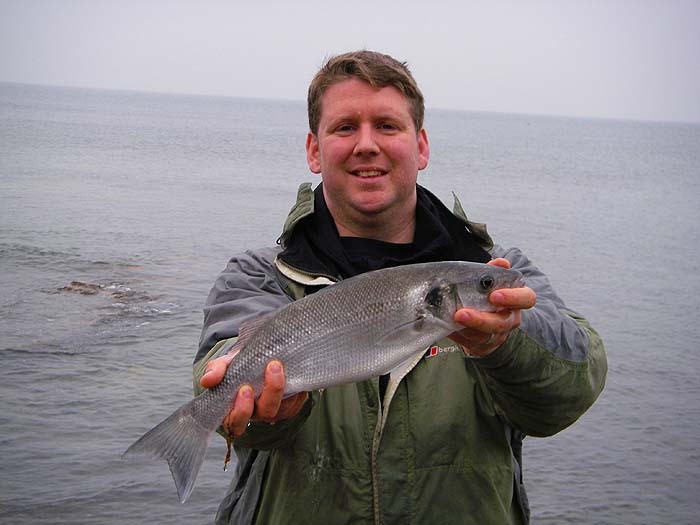 Having said that I was actually 'trying' to catch a wrasse in shallow water over a wrack bed at the time. The following morning I went down alone determined to break my duck with the bass and managed not one but four. To be honest none of the fish were monsters but they were all in good nick and very welcome. 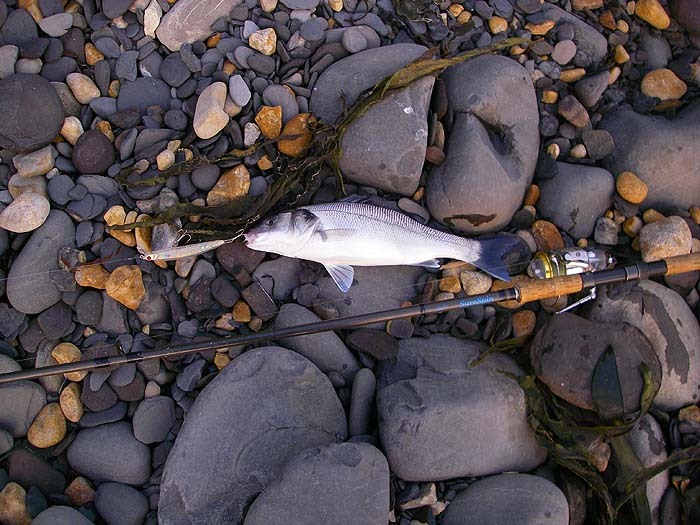 On the following springs there were lots of fish on the evening tides and between several of us there were probably twenty or thirty caught - all on plugs as far as know and all in the same size range (up to about 45cm). In the course of the various sessions I met a couple of angling friends who I had not seen since last year and I saw terns, gannets,peregrines and a range of interesting plants and wildlife. A good start to the bass fishing year. 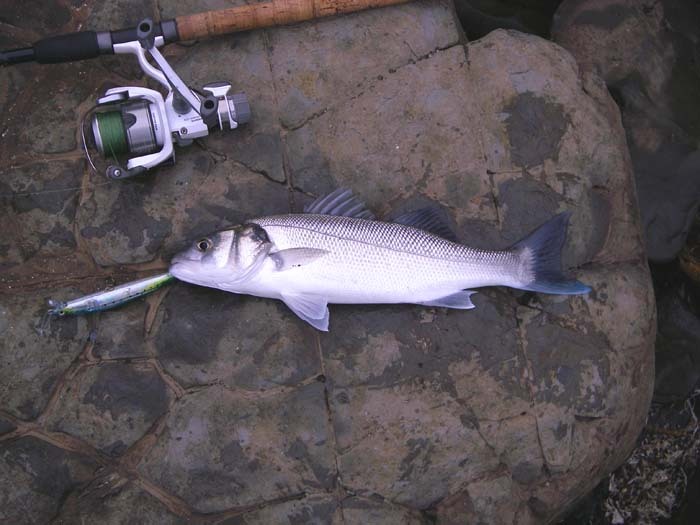 If you haven't signed the bass petition yet, please go to Saltwater page 168 and do it now.